The Cheshire Area of NAFAS was formed in 1971 and has 47 flower clubs across the area. Flower clubs meet regularly to enjoy flower arranging demonstrations, talks, and workshops, as well as social events to share our love of flowers with fun and friendship. 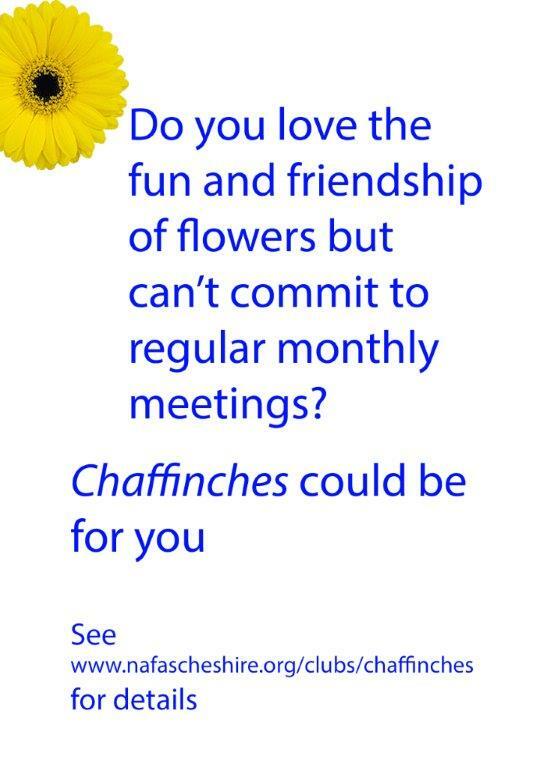 If you would like to find a club visit our list of flower clubs page or use our find a nearest flower club tool. Club Events and Open demonstrations welcome members and non members alike, and are an opportunity to enjoy time with friends old and new whilst being entertained by Area, National and International demonstrators. Please visit our diary page of forthcoming club events or our list of major club events such as open demonstrations and shows. The Cheshire Area supports the clubs and provides learning opportunities with workshops as well as flower arranging classes for all levels of ability. Our Area pages describe the Area organisation and its activities. From winter 2014 the website includes a quarterly How-to create a simple arrangement with a step-by-step guide, including photographs. Please try these out. 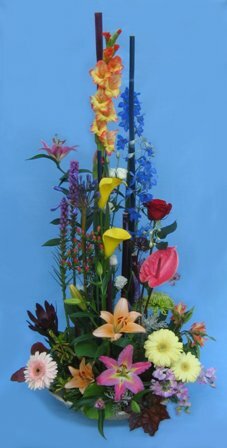 The Area is one of the 21 areas of the National Association of Flower Arrangement Societies (NAFAS). Visit our NAFAS page for more details. Area and National Flower shows, Flower Festivals, exhibitions and other events are an opportunity for members to exhibit their skills and to compete with like minded friends from across the country and beyond. These are shown on our diary pages. Seasonal events across the area such as the Cheshire Show at Tabley and the RHS Flower Show at Tatton Park, showcase the work of our members, as well as local events such as Flower Festivals and village shows. Some of these are also listed on our diary pages. 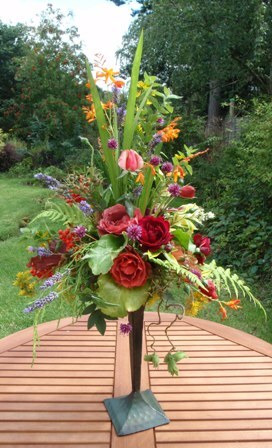 Although not all run by Cheshire Area we maintain a list of classes so you can join a flower arranging class near you. You don't have to be a flower arranger to join or visit a club. If you would like to contact Cheshire Area please use our contact page.